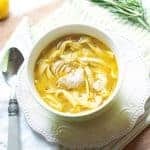 How to make Instant Pot Chicken Noodle Soup - super easy, delicious, and perfect for fighting off a cold. Gather the baby carrots, garlic, onion, and celery. 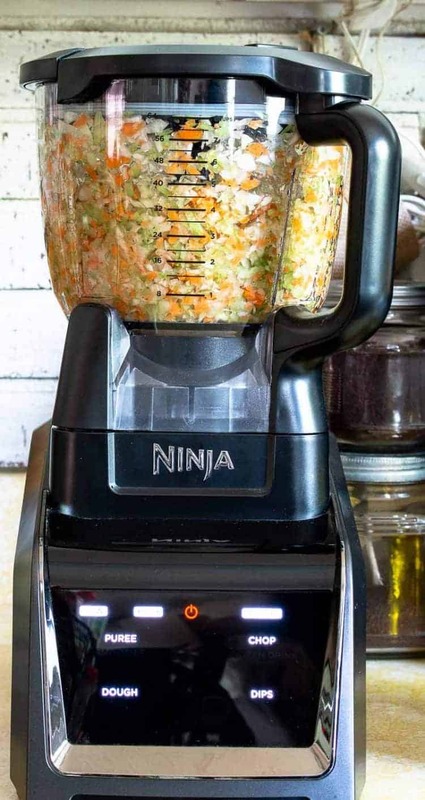 For this step, you can either hand dice and chop the veggies or you can throw it all in a food processor. If you go the food processor route, pulse until the veggies are a size you like. I usually prefer mine a little larger than in this picture, but this worked great as well. 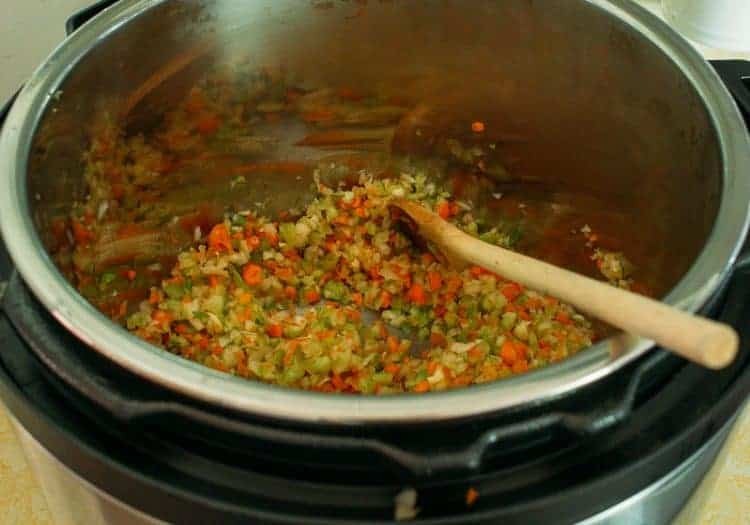 Set Instant Pot to the high saute setting, add olive oil, allow to heat up a bit (about a minute) then add your chopped veggies. Cook, stirring occasionally about 2 to 3 minutes until your veggies are tender. Stir in the rosemary and thyme. 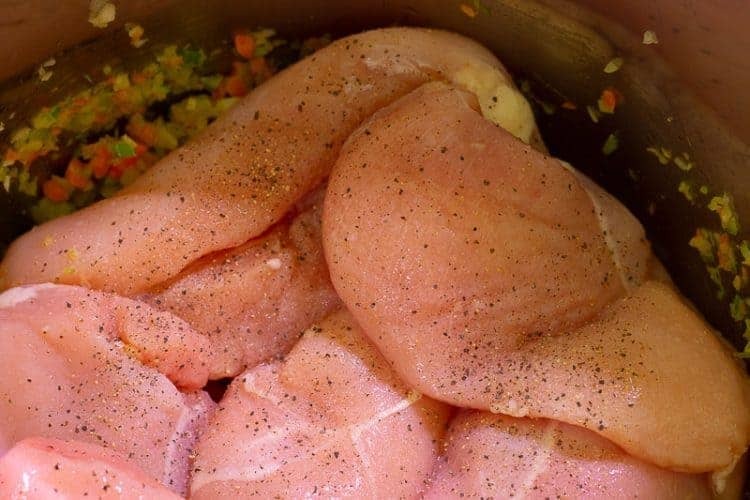 Top veggies with chicken breasts. Salt and pepper to taste. 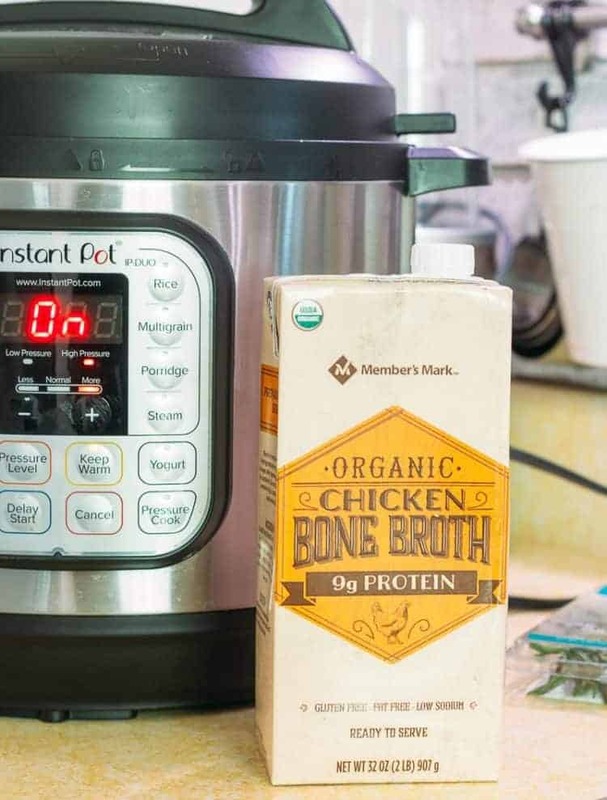 Add bone broth to Instant Pot. 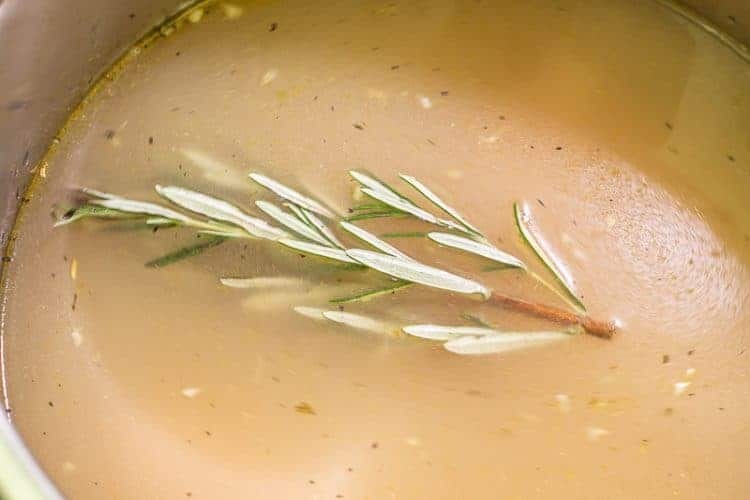 Top with rosemary sprig and 4 cups water. Put lid on instant pot and seal properly. 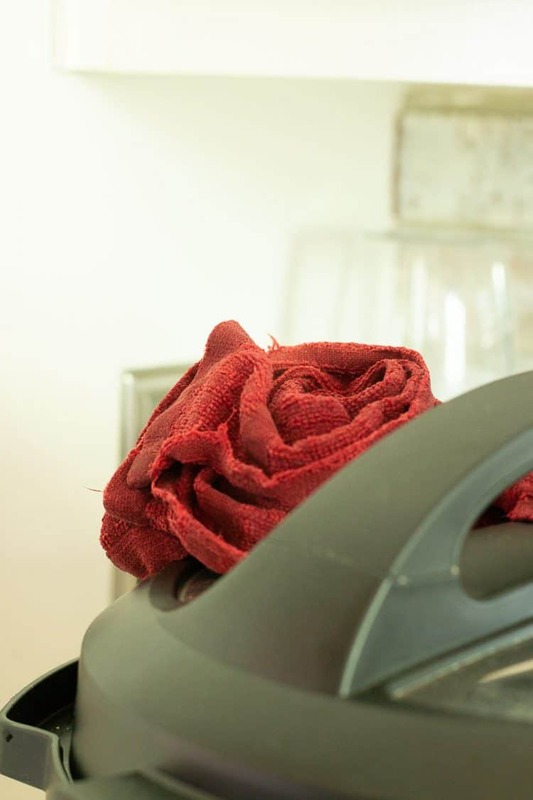 Select manual setting, choose high pressure and set timer for 10 minutes. When the timer goes off, do a quick release following the directions in your Instant Pot manual. Remove chicken from pot and shred. Place in bowls or set aside for serving later. Select high saute setting and bring broth and veggies to a boil. Stir in noodle and cook, uncovered, until tender. 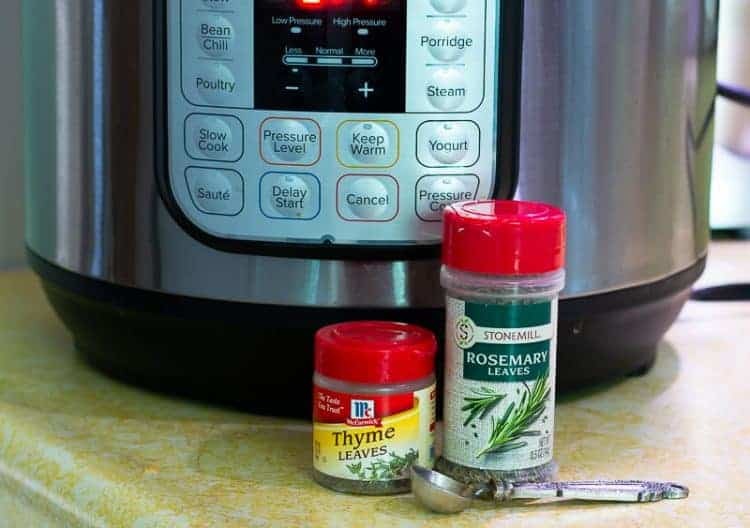 Turn off Instant Pot, add lemon juice, salt and pepper. Add broth and noodles to bowl atop shredded chicken and serve! 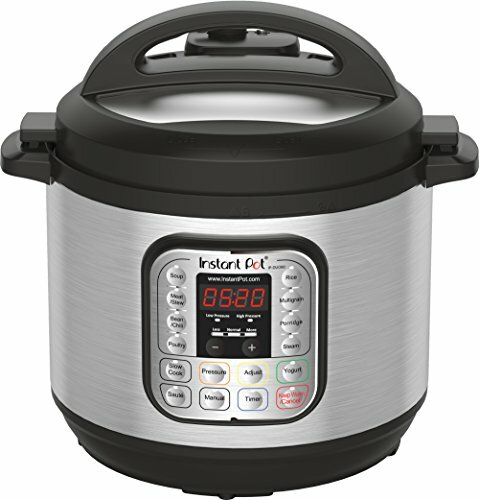 This is the Instant Pot I have and recommend.